Even highly skilled teachers can have an unknown bias. Daniel Reinholz, assistant professor of mathematics education at San Diego State University, explores one way to help teachers correct this. 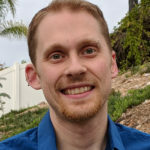 Daniel Reinholz is an Assistant Professor of Mathematics Education at San Diego State University. Dr. Reinholz is a researcher and educational designer, holding a teaching credential in secondary mathematics. His research focuses on educational transformation, with the aim of increasing equity in STEM fields. Dr. Reinholz has been funded by the National Science Foundation and Institute of Education Sciences. Implicit bias is pervasive in society, playing out in everyday events from police racial profiling to workplace discrimination. Bias is made up of attitudes and stereotypes that impact how people act in an unconscious manner. Because all people have biases, we need to become aware of them so that we can address them. Implicit bias is also a problem in schools and universities. It impacts even the most thoughtful teachers, influencing which of their students get to participate and how. To address this pervasive problem, teachers need actionable data they can use to improve their practice. EQUIP is a free web app designed to provide such data. EQUIP generates quantitative analytics on patterns of implicit bias in teaching. These analytics allow teachers to reflect on events that are too subtle to notice in-the-moment, but nonetheless have a big impact on their teaching. EQUIP data allow teachers to slow down and reflect upon their automatic associations. My colleague Dr. Niral Shah and I have found that inequities are common in a wide variety of mathematics classrooms. We have also found that EQUIP analytics can help teachers see their classrooms in new ways. It helps them attend to the racialized and gendered dynamics of participation. It also helps them make sure that no single student in their classrooms remains unnoticed. Why does this matter? Participating in class is a critical part of learning. When students get to participate more, they learn more. Historically, mathematics has been a gatekeeper that limits career options for students, by preventing them from pursuing higher education. This means that all students deserve a chance to learn math well. When we help teachers address their biases, they can better serve their students, which means a better future for all of us. The web app is EQuIPP.